Hey guys! 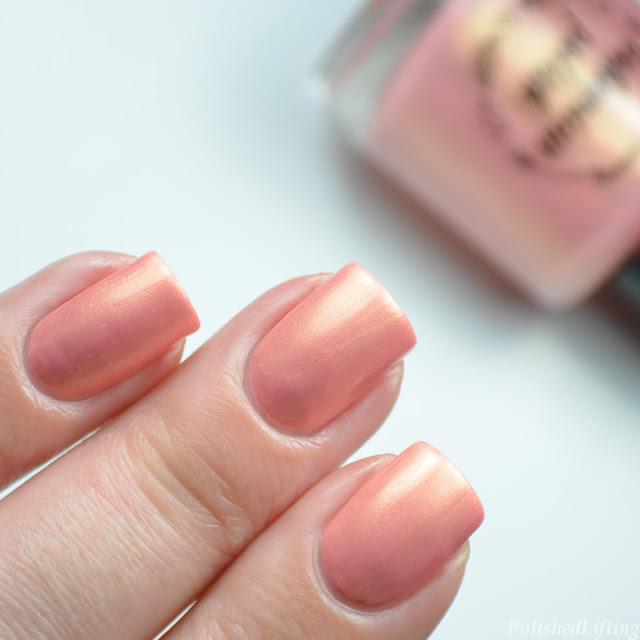 I have five gorgeous le shades from Bohemian Polish to share with you today. These will be limited to PolishCon, so you might want to track down a mule! 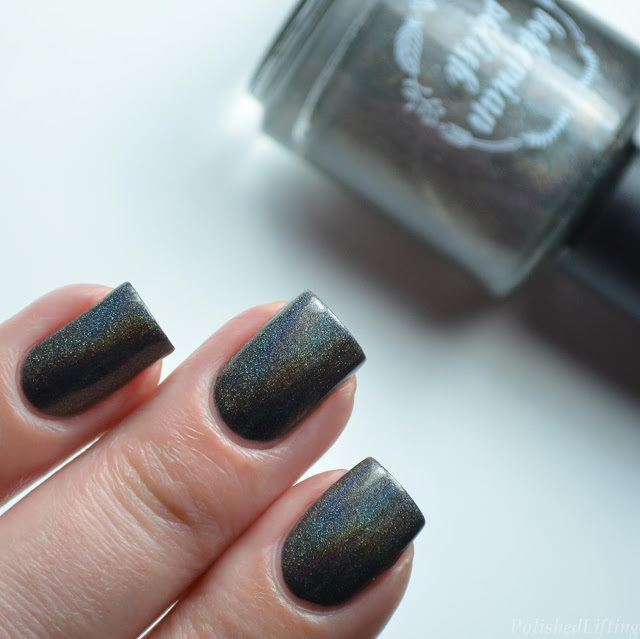 Notes: I am in love with this charcoal holo! It had a gorgeous golden flare at the right angle. 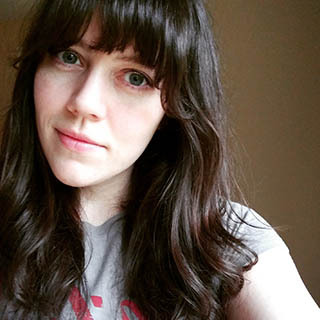 Notes: My eyes see more blue than green on this but maybe it's like that darn dress. 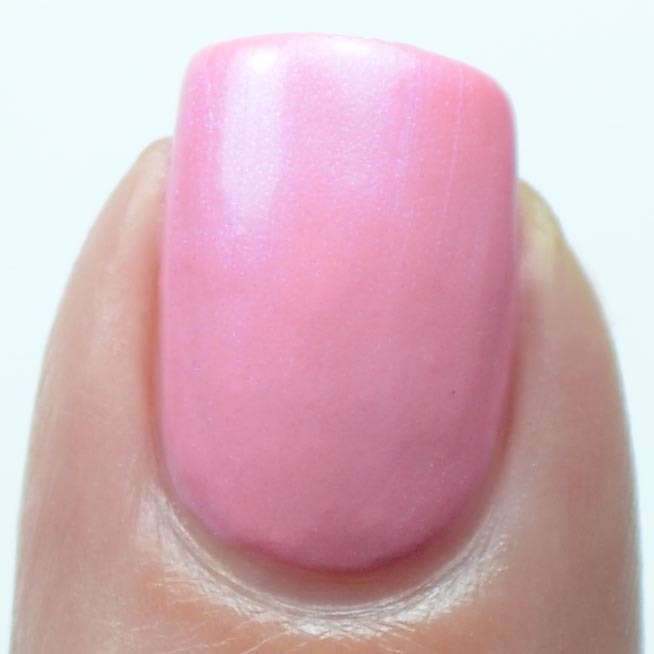 This is a high shimmer polish, so if you prefer a smooth finish you can always sponge on the final coat. I personally didn't find it to be streaky enough to bother. Notes: The blue shimmer in this is everything! 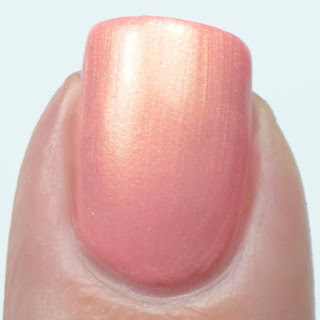 Pinks are usually a hard sell for me, but anything with shimmer will win me over. Notes: I really wish I could have captured the green shimmer in this shade. It doesn't like to come out under my daylight bulbs, but you can see the shimmer best in the bottle shot at the top of this post. It's the top, left bottle. Notes: I wasn't sure if I was going to like this shade because I'm not huge on the orange/gold/yellow family, but I was smitten with it on the nail. Since there were quite a few pinks and pink leaning shades in this collection I wanted to give you guys a quick comparison. The index and pinky show Cherry Blossoms in Brooklyn, the middle is Coney Island Cotton, and the ring finger is Makin' Bacon Pancakes. 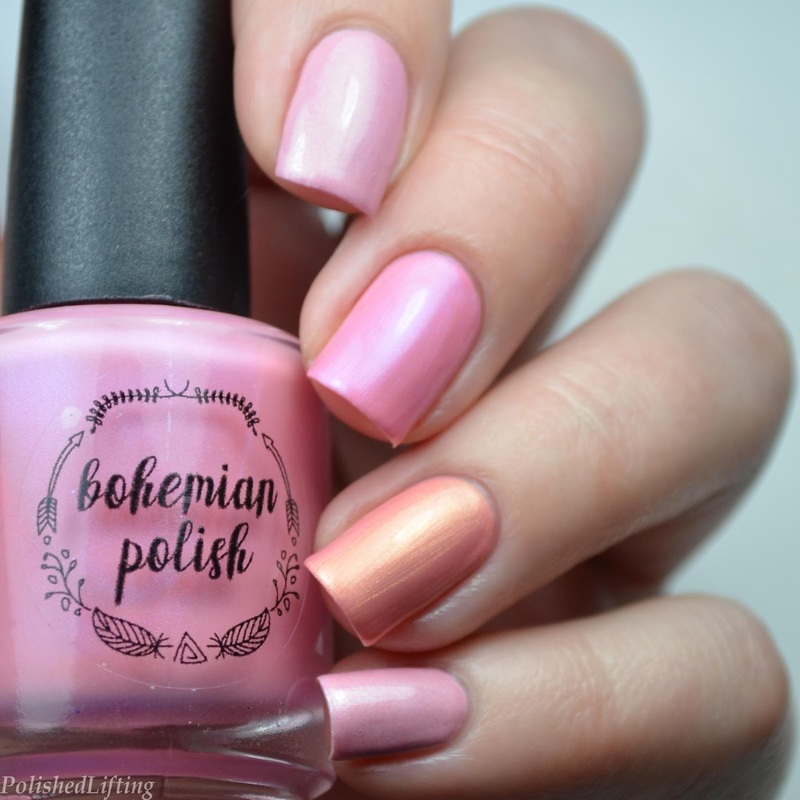 To purchase these beautiful shades you will need to attend PolishCon, or find a trustworthy mule. In the meantime you can check out Jen's other shades by following the links below. 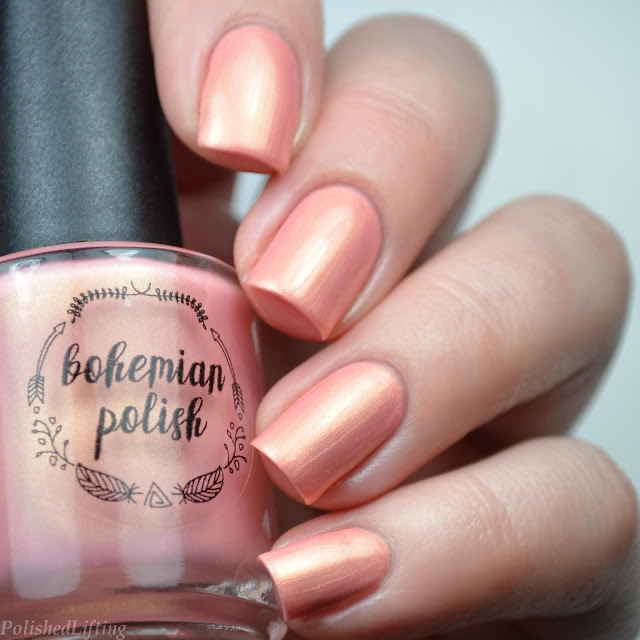 If you enjoyed this post you might like Bohemian Polish Vegas at Night Collection and Bohemian Polish Moste Potente Collection pt 1.